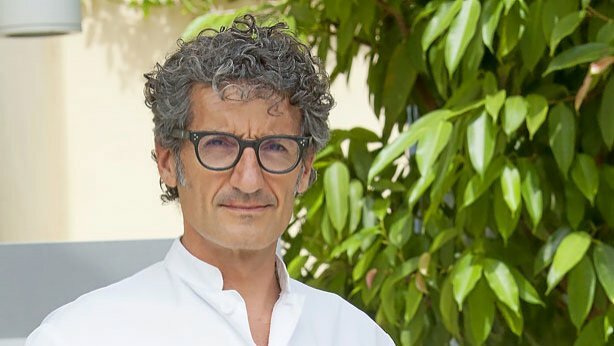 Dr. Jordi Monés, the Director of the Institut de la Màcula, has proposed proactive treatment for wet AMD. He believes administration patterns for intravitreal injections should exceed seven applications in the first year, with a minimum of four to be applied in the second twelve months following diagnosis of the disease. 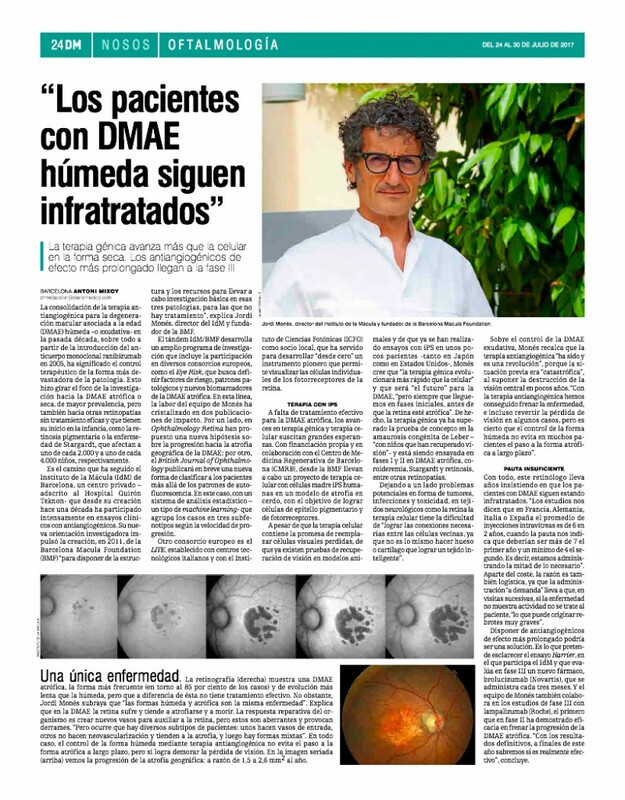 Dr Monés reiterated this view in an interview with the medical newspaper Diario Médico published last July 24th. The pattern he suggests contrasts with the treatments for exudative AMD applied in most centres in France, Germany, Italy or Spain. Studies indicate that «the average for intravitreal injections is six in two years», leading him to conclude that «half the number necessary are being administered». The «proactivity» that Dr Monés would like to see involves following the pattern even if the pathology is not active. This is because halting the administration of doses could «cause very serious new outbreaks» of the macular degeneration. Diario Médico reported on the clinical trials in which the Institut de la Màcula takes part and that are aimed at discovering the most effective obstacles possible against wet AMD. These trials include HARRIER, which in a phase III study assesses brolucizumab, a new drug that is administered every three months. The newspaper also outlined phase III research work with lampalizumab, a drug that has proven effective in phase II in treating atrophic AMD, which today still lacks a treatment. «At the end of this year, we may know whether this medicine could be truly effective», Dr Monés said.